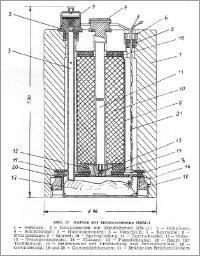 The mine is propelled up and detonates between 40cm and 1.40m. above ground. 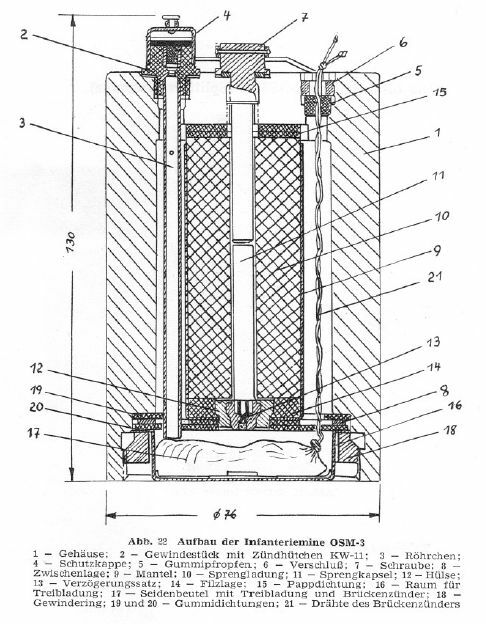 The MUW or MUW-2 fuze is used with this bounding mine. 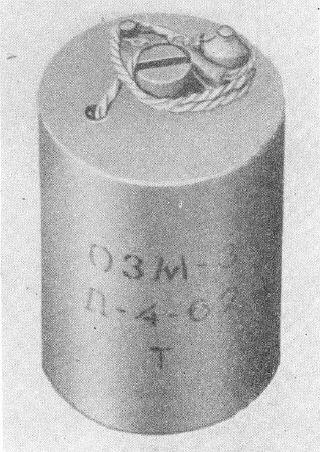 This mine is in fact a Russian OZM-3.